Belmont Country Club in Ashburn, Virginia is a gated, country club community that features first class amenities including an Arnold Palmer signature golf course. It’s the only community in Loudoun County that features full lawn and landscape maintenance throughout. The entire community is beautifully maintained by the homeowners association or the country club. Other community amenities include walking/jogging trails, pools, tennis courts, Basketball & volleyball courts and great playgrounds. 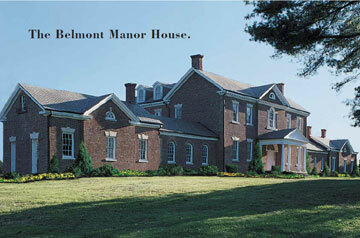 The Historic (1794) Belmont Manor home fronts the country club and sits a top the highest elevation in the area. Belmont “Beautiful Mountain” carries a rich history in our local area.